No sandals, no flip-flops … no business! Nathan (age 12): What about sandals? A lot of people like to wear sandals. Joel: Sandals don’t count because the foot practically hangs out. Sandals and flip-flops are essentially the same thing as going barefoot. Nathan: So I guess you aren’t going to run a Christian business. That’s sad, Joel. Joel: I didn’t say that. Of course, my business will be Christian. I’m just not going to serve people who don’t wear real shoes. Nathan: Well, you said you weren’t serving people who wore sandals. Jesus wore sandals. So based on what you’ve said, if Jesus came to your business you would turn Him away. Joel: Jesus was different. Besides, Nathan, I seriously doubt Jesus is going to come walking in my business … and if He were to do so, I’d definitely serve Him. But He’s the only exception to the rule. Nathan: That’s hypocritical! You’ll serve Jesus, but not those who imitate Him? The Bible says we are to imitate Christ. I think you need to rethink your business plan. Joel: I am not hypocritical. I just don’t like sandals and flip-flops. I don’t think they are real shoes. Put some real shoes on your feet if you want to do business with me. Trust me, most people who wear sandals are not imitating Jesus! One of my favorite parts of parenting is the crazy conversations my children have on a near daily basis. I love hearing their “half-baked” thoughts and ideas, their interpretations of the world around them, and getting a peek into how God is developing their personalities. Yesterday was no different. Well … mostly no different. I have to admit that yesterday’s conversation left my feelings got a bit bruised because I’m a flip-flop lover. Actually, a more accurate statement would be, I’m a foot lover. But not just anyone’s feet. My feet. I’m all about pedicures and pretty painted toenails, and cute shoes to show off my lovely toes. I don’t know about you, but I tend spend my life rather caught up in myself. My activities. My hobbies. My time. My interests. I don’t spend my time focused on intentionally living for Christ. After all, in my self-focused world, I’m wearing sandals because I love them, not because I’m seeking to imitate Jesus! 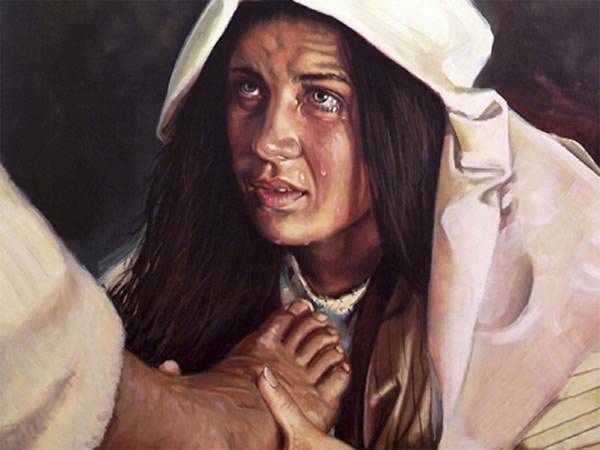 Jesus wasn’t focused on His own feet. Instead, Scripture depicts Him washing the feet of others. His feet never rested, for He walked miles over desert roads in ministry to others. Those who recognized who He was, worshipped at His feet, breaking vessels of expensive perfumes over His perfect feet, which would be pierced for my transgressions against a Holy God. Don’t get me wrong. 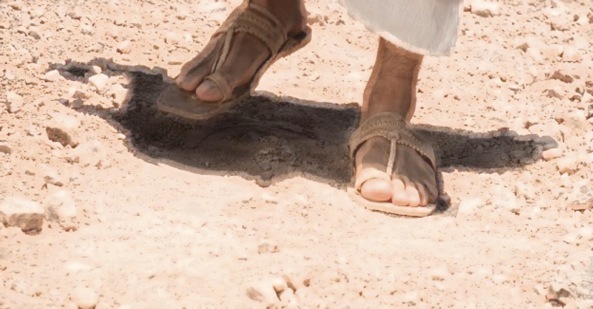 I’m not writing this to begin a movement which would push sandals as the “go-to shoe” for Christians because Jesus wore them as He traveled the dusty Israeli roads 2000 years ago. However, all because of one crazy conversation between my boys, this morning as I put on my favorite pair of comfy sandals, I was reminded to spend my day truly focused on being an imitator of Jesus. Don’t think I’ll ever look at sandals or flip-flops the same way again – thanks for that perspective! I love your conversation summaries of the kids. Love more focusing on The Lord. There is a strong contingent over her in the UK who believe that the appropriate footwear for Christian men is sandals, worn with thick wooly socks. While this is a sin against the fashion gods I don’t thick God cares what we wear when we come to Him just that we come, and the follow. Kids provide great fodder for blogs. Your kids are terrific…always thinking.